A great plan for busy families, you&apos;ll receive Nourish entrees that your whole crew will love. Simply heat the entrees in the oven and add your own sides for crowd-pleasing meals any night of the week. You&apos;ll receive a Nourish subscription package every week and you&apos;ll be billed $82.50 plus any items you add. At this level, each meal is $6.87 per entree serving. You&apos;ll receive a Nourish subscription package every week and you&apos;ll be billed $74.25 plus any items you add. At this level, each meal is $6.19 per entree serving. When you&apos;re looking for balance in your meal planning, this package has you covered! A mix of our delicious entrees and tasty sides for meals you can feel good about. You&apos;ll receive a Nourish subscription package every week and you&apos;ll be billed $74.25 plus any items you add. At this level, each entree is $6.19 per serving, and each side is $3.09 per serving. 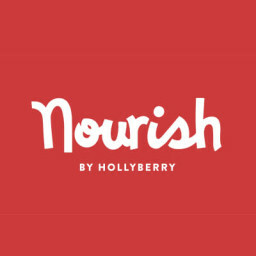 Interested in trying out a Nourish meal subscription? Our sample pack features some of our chef-prepared favorites with the same no commitment experience all our subscribers receive. Each pack choice includes 2 half-portion entrees, one hearty side, and one 8 ounce appetizer for $49.95 + tax. Menu items change weekly! *Cannot be combined with any other offers including but not limited to referral code bonus.